My roots run deep with nature, and in fact, all the inspiration for this business has come from the love and respect I have for the natural world around us. After spending several months living in the forest and mountains, and deriving almost all my food from mother earth during that time, I began to see incredible changes to my health and spiritual well being. The fresh night air, pure water from the springs, and all the power packed nutrition from the wild plants I was eating gave me an incredible vitality. I was really living. Nothing felt more in harmony. This was my eighteenth summer and not long after, I headed to Utah to go to study with one of the greatest Thomsonian herbalists of our time, Dr. John R. Christopher. The School of Natural Healing was an epic leap to refining the direction I was heading in. At the school, I met certain people who inspired me, and one woman there, who was a teacher, became a good friend. Her name was Lotus and she helped me to start Healing Earth Botanicals in 1983. 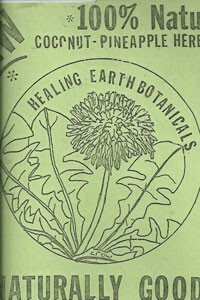 Healing Earth Botanicals success was based on four different salves, one of which was a lip balm that went on to being sold in dozens of stores in eight states, and especially successful in the ski resort industry. With the turn of 1987 I saw the need for the development of a sports injury healing salve, as most of my radical hound dog skier friends needed some sooner or later. Thus came People Putty, and spread thru the Utah Mountains like wildfire. I knew I was on to something great as the joy I received from seeing my friends healed and back on the slopes was exhilarating. 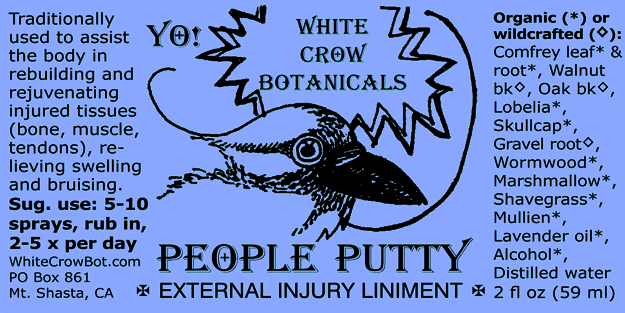 At this time I had ventured into the making of herbal tinctures and began experimenting with People Putty in a liquid form, although the salve worked well in its application, I didn’t like how oily it was and I wanted more penetration of the product into the tissues. The absorption in liquid form was substantially increased and the results were outstanding. Injuries come and go but I needed to apply a lot more than ever and the tincture application was suited just for this need. Healing Earth Botanicals soon morphed into the Yo! 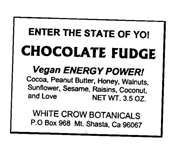 Company, as making vegan energy bars became the new focus and People Putty became People Puddy. It always sounded like two d’s when everyone said it, so I thought to try it, until the time came to return to ‘putty’. As the 90’s rolled in, I hooked back up with the Arise and Shine Company. During the late 80’s, Rich and myself made some amazing discoveries that lead to the creation of Chompers and some of the formulas for the Clean-Me-Out program, which are still un use today. Distributing my products through them was awesome because they reached a lot more people and stores across the country. I had everyone all around saying Yo! 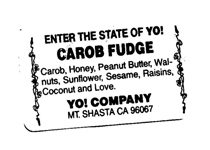 Yo is a catchy word that was a motto for my company because everyone seemed to smile when they said it. That’s why it’s still on all my products to this day. During the mid-nineties the Yo! 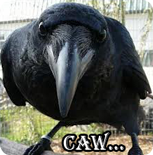 Company morphed into White Crow Botanicals. I began to experiment even more with the formula in the current form that it is in now. A faithful following had begun to grow, especially in the surfing world I was now apart of. The energy bars, tinctures, and managing an organic produce department took most of my time. It was harder and harder to have time to give edible plant classes and give herb walks and also snowboard and surf. So the energy bars went and I streamlined the business of tinctures down to keep track of my priorities. The new millennium came and People Putty right with it, by now reaching hundreds of customers all across this country. Everyone jesting the jingle, “When aches and pains come your way, let People Putty spray it away…” It took me a long time to come into the computer age, but even a dinosaur like me, one day gets a website. A website to continue the dream of supplying a product that can get everyone back on their feet and help with life’s bumps and bruises. And so, after just under 30 years, I’m at a point for White Crow Botanicals to reach so many more people with the venture into technology to reach this goal. Yo!